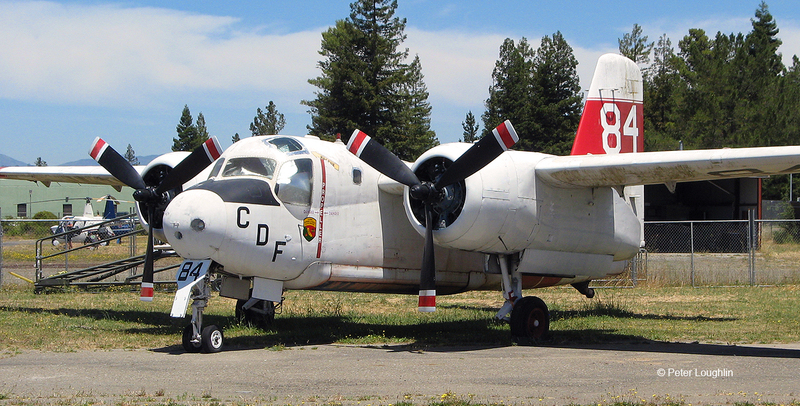 S-2A Tanker 84 is not only a veteran of Naval service, but also a Fire Veteran with many missions over hostile wildland fires. 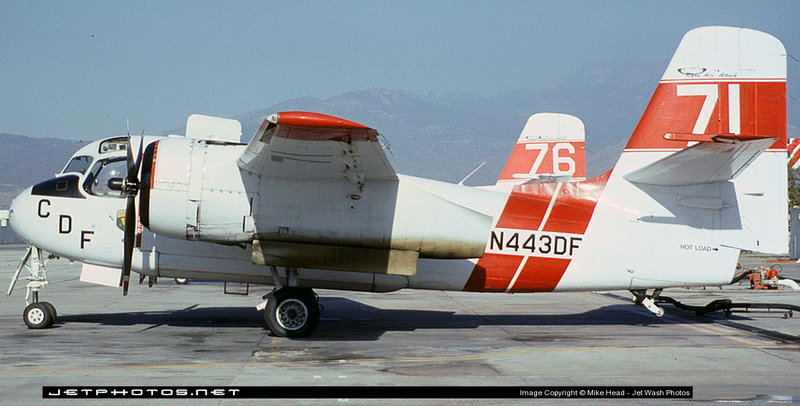 The S-2A fire bomber has a capacity of 800 gallons of fire retardant which was dropped from its belly-mounted tank. The S-2 was originally an anti-submarine aircraft, and could drop depth charges and sonobouys. Designed to land on aircraft carriers, it was very tough, was equipped with powerful and reliable radial piston engines, and had great visibility and maneuverability. This all made it an excellent choice as a fire fighter. Tanker 84 served CalFire for many years, fighting wildland fires throughout California. You can still see evidence of this in the pink staining around her belly tank, left from the reddish fire retardant she carried and dropped. Tanker 84 back when she was Tanker 71. Many other S-2A Trackers were converted into S-2T Trackers, with turbine engines and five-bladed propellers. Alas, Tanker 84 had too much wear and tear to make this economical, and was given an honorable retirement to our Museum. We are honored to have her. 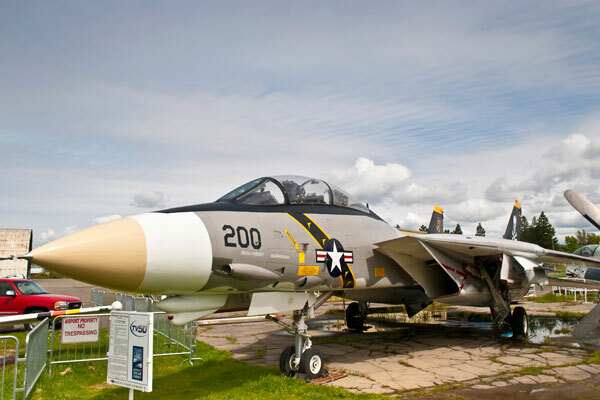 During the years following WWII, the Navy began defining a need for a dedicated anti-submarine warfare aircraft. The Navy turned to Grumman aircraft which designed a fairly large twin-engined high-wing monoplane which it designated the G-89. The high-wing design provided for a maximum of cabin space to receive the new types of equipment being developed for the hunter-killer role. Additional storage space was provided in the rear of the engine nacelles. It was June 30th, 1950 that Grumman was awarded a contract to build a prototype for evaluation which first flew in December of 1952. 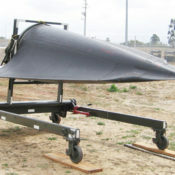 Originally designated the S2F Tracker, several versions were eventually built that included the original anti-submarine, an electronics measures version and a cargo version. The first production version was designated the S-2A Tracker and became operational in 1954. 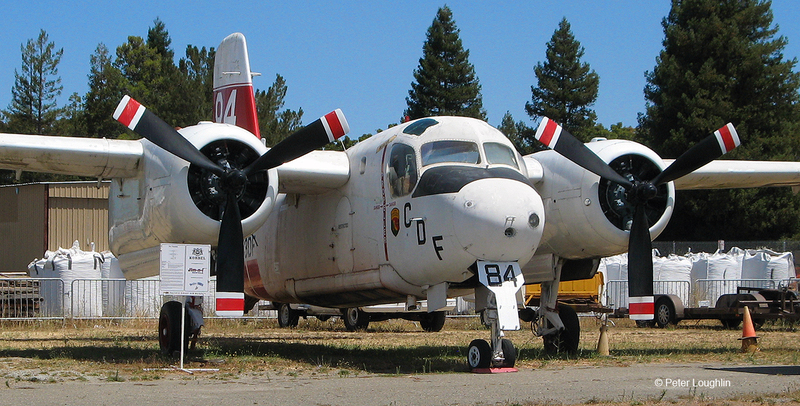 The CDF S-2As were converted for fire fighting and placed in service for the 1973 fire season. 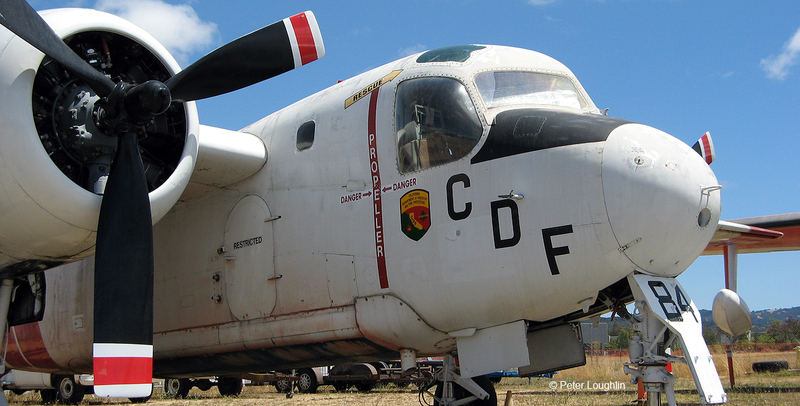 The S-2A was an efficient and reliable part of CDFs air fire fighting force. 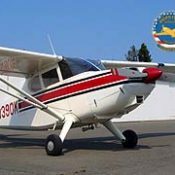 In recent years, CDF has been upgrading its airtanker fleet with newer, faster and more maneuverable turbine S-2T aircraft. 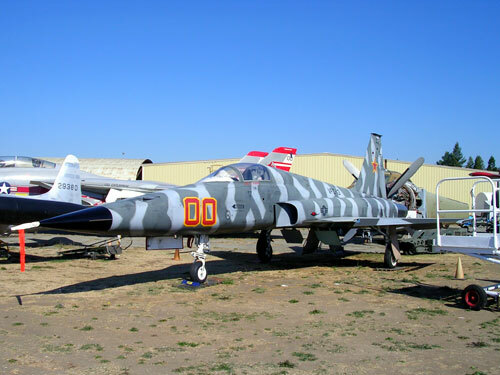 In October of 2006, a crew of PCAM members traveled to McClellan Airport in Sacramento for the purpose of preparing Tanker T-84, a CDF S-2 Fire Bomber, for a ferry flight to Santa Rosa. Under the supervision of CDF maintenance personnel, the aircraft was prepared for flight and on Thursday, November 9th, the aircraft was ferried back to Santa Rosa and the Pacific Coast Air Museum. 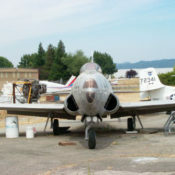 Tanker 84 was based at the CDF Fire Bomber base at Santa Rosa for many years and now it has a permanent home at the Pacific Coast Air Museum. In aerial tanker or firefighting configuration: One pilot. These specifications are from CalFire, for the S-2A Tracker’s performance in airtanker configuration. 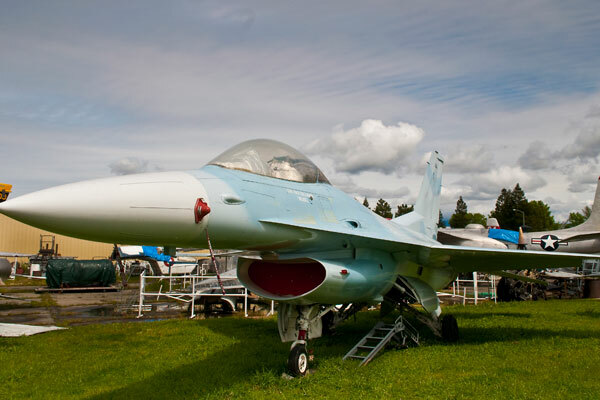 Disposable: In the plane’s fire-fighting configuration as you see it at the Pacific Coast Air Museum, the S-2A airtanker carried 800 gallons of fire retardant in an internal tank. As a submarine-hunting platform, it carried up to 4,800 lb (2,200 kg) of payload in the internal bomb bay and on 6 under-wing hardpoints. Weaponry included various types of torpedoes, depth charges, and naval mines.